A newly designed heated serve-over counter with stainless steel plates for ready-to-eat cooked dishes. Created to complement VEGA QB counters line, this hot counter enhances the product presentation and ensures your hot food products are maintained at optimum conditions. The heat is provided by a heated panel below and infrared heating above, and an even temperature is maintained throughout the cabinet. 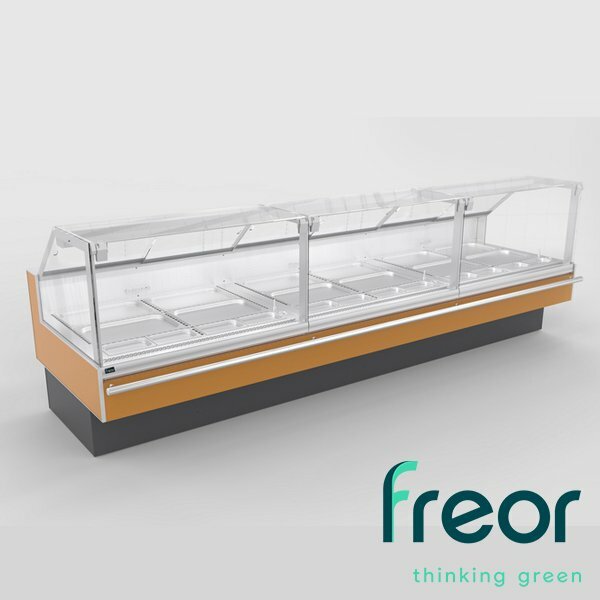 Large square glass in the front gives customers a brilliant view of your produce inside, whether that’s pies, pasta, meat or vegetable dishes. Sturdy stainless steel display surface. Energy saving electronically commutated fans. Gastronomy containers of the selected depth.